Media magnet Soumya Ranjan Patnaik, whose ‘Sambad’ tops the major broadsheets of Orissa, observed that compilations of columns are of essential relevance to living history because they try to dwell between the lines of current events. 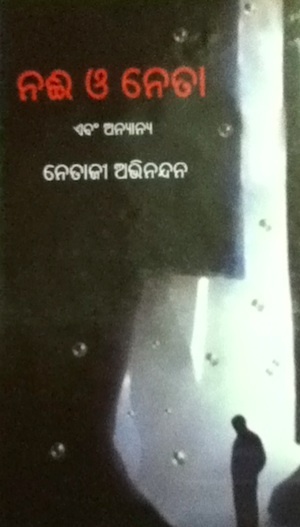 This is why, as he has been marking, columns and comments have emerged as the principal object of interest of at least 40% of the newspaper readers, he said, while launching ‘Nai O Neta’, a compilation of published articles of Dr. Netajee Abhinandan, a faculty of Political Science in the Ravenshaw University, Cuttack. 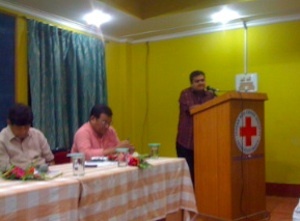 The book launching was held last evening in the conference hall of Orissa Red Cross Bhawan, Bhubaneswar, with famous poet Rajendra Kishore Panda in the chair. Panda, also a former top officer in IAS, delivered a highly scholarly exegesis on the art of column writing, even as, to him, insight into every facet of society with ability to editorialize the findings is what makes a columnist a reader’s choice in quest for information beyond the headlines’ beaten track. The author introduced his book while looking back on evolution of his columns. Dr. Rajendra Narayan Das stressed on readers’ participation in promotion of publication environment, when Pradyumna Satpathy, editor of Subarta, reviewed the book. 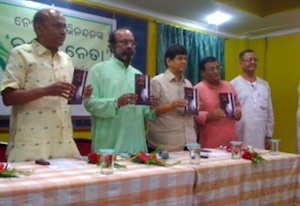 The audience comprising eminent authors and scholars was greeted with thanks by the publisher Nrusingh Prasad Mishra of Cuttack Students Store, when Dr. Bijayanand Singh had set the event to motion by welcoming the guests to the dais. Dr. Sanjay Satpathy co-ordinated the launching ceremony. With a note of blessings from Dr. Debi Prasanna Pattanayak, the book consists of twenty nine published pieces on personal, socio-cultural, politico-economic topics as well as on issues germane to education, literature and civilian responsibility.